Combine all ingredients in a blender or food processor and blend until smooth. If you prefer a thinner consistency, add 1/8 cup of water or Almond Milk. 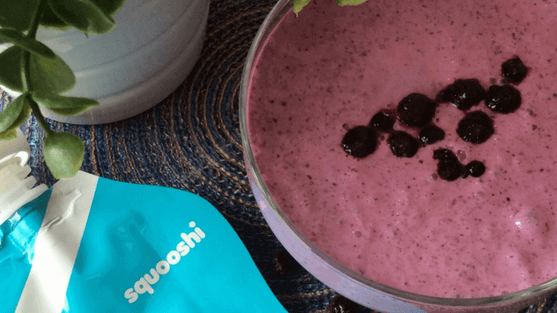 Spoon mixture into the Squooshi Pouch and watch in amazement as your picky eating toddler gobbles it down!